Betsoft Gaming has added to is already excellent selection of popular Slots3 by releasing the frightfully exciting Frankenslot’s Monster. Featuring high definition 3D graphics and some of the best cinematic animations ever seen on an online slot, Frankenslot’s Monster is a retake of the classic horror tale Frankenstein’s Monster. With five reels, 20 win lines and true 3D graphics, Frankenslot’s Monster is sure to be a hit with anyone who plays it, especially those lucky enough to trigger the slot’s cutting edge bonus elements and superb features. 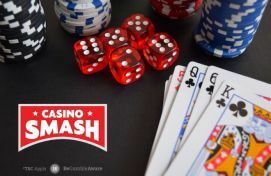 One of the best features is the interactive bonus round where players have to manipulate switches and levels that control the legendary Frankenslot’s Monster and give the player the chance to win up to 25 times their line bet win. 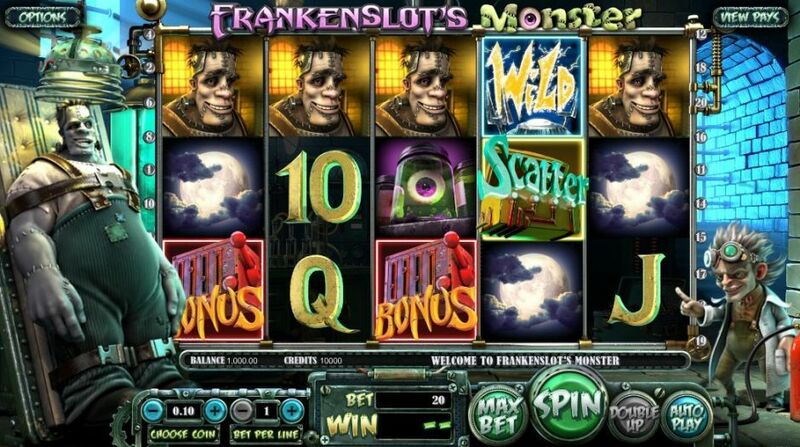 Try Frankenslot’s Monster at Bet365 and play with up to €200 in free money. Check out how! Another feature set to be hit are the Scatter Pays that award free spins – which are always welcomed by slots players. These free spins can be stacked if the Scatter Pay occurs during free spin mode. Betsoft have also added a wild icon that appears frequently, increasing the chances of a big win, and who doesn’t like winning big? Speaking of the new Frankenslot’s Monster slot, Betsoft’s VP of Sales and Marketing, Mark McKeown, said: "What we have in FRANKENSLOT’S MONSTER is a quirky, thoroughly enjoyable iGaming experience. Retelling favorite stories is as old as humankind itself, and to create a game based on such a well-known tale was a satisfying experience at every level of development. The animated background of the game intensifies the spookiness of the secret underground laboratory theme and the inimitable characters celebrate wins right along with the player. We are certain that these special touches – for which we are globally known – will please players of all demographics." Frankenslot's Monster is sure to be a huge hit with slots players around the world, and complements the company’s extensive library of more than 180 games, including the iconic Slots3 series. Part of Betsoft’s superb library of slots is A Christmas Carol, which it released in December 2015 in time for the holiday period. Like Frankenslot’s Monster, A Christmas Carol is too based on a classic tal and gives players the chance to win up to 513,000 credits via the famous Three Ghosts who are trying to teach the miserly Ebenezer Scrooge a lesson he’ll never forget.